iOS 7 sports a new look all the way down to the fonts used to display text and the time, and it turns out it's just a little too difficult on some people's eyes. 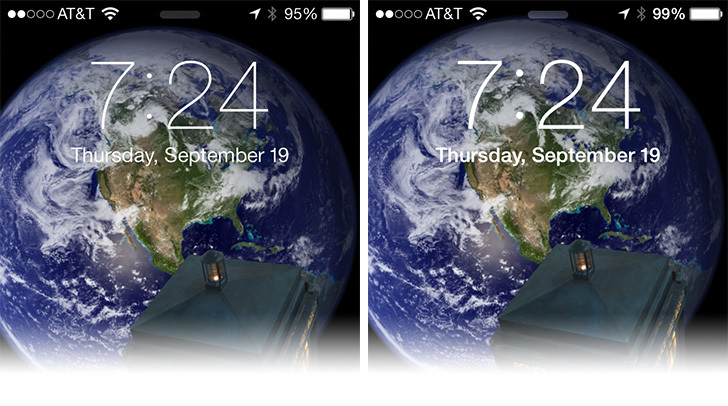 If that's you, it's easy to make iOS 7's text more eye-friendly. Read on to learn how. Your iPhone, iPad, or iPod touch will reboot after enabling bold text and the different will be immediately noticeable when your device comes back to life. Display text, as well as the text in apps, will be bold and stand out much better against the background. 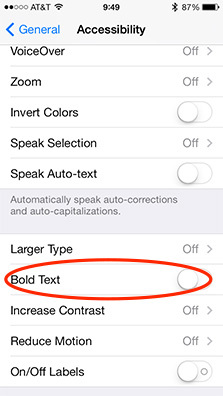 If you decide you prefer the default text style, you can shut off Bold in the Accessibility settings any time you like. I found using the Bold setting makes the time and date much easier to read on my lock screen, and I was surprised at how much of a difference it made in apps like Messages, too.